Contacting a Miami injury lawyer after a motorcycle accident is crucial. You may have serious injuries and high medical bills months after, and having an experienced personal injury lawyer representing you means the difference between bankruptcy or big settlements. Personal injury is one of the most complex, demanding areas of the law and oftentimes requires that victims obtain comprehensive legal representation. At 305-HELP-NOW, our personal injury legal teams are dedicated to the rights of injury victims, not the big and powerful insurance companies or large corporations. Since establishing our practice, we have long been recognized as one of the top Miami personal injury lawyers who are always willing to go to trial whenever necessary. Our legal teams focus solely on fighting for every client’s rights and are not afraid to take on the insurance company’s or large corporation’s attorneys in court if need be. While we are able to achieve most settlements out of court, there are no guarantees that this will always be the case. However, our personal injury lawyers are dedicated to helping every injury victim recover the amount of compensation they are entitled to, no matter what type of case it is that they are representing. With years of experience and expertise, our legal staff is well known among defense attorney circles and the massive insurance company. We are highly respected as some of Florida’s most outstanding lawyers. We take a great deal of pride in the way we are able to successfully represent each and every client, especially when we go to trial for them against hospitals, insurance companies, and large corporations. As a result, we have limited our personal injury practice to representing the people since we began. At 305-HELP-NOW, we can provide Miami personal injury lawyers that specialize in a broad range of accident cases including bicycle, motor vehicle, motorcycle, truck, and slip or trip and fall accidents. Contrary to the current trend with so many other legal firms here in Florida, we have remained relatively small in size so that we could provide clients with a higher quality, more personalized service. You will be helped by an experienced personal injury attorney in Miami and a small support staff to assist with your case. Bicycle accidents – we are your go to legal counsel whenever you have sustained serious injuries in a bicycle accident. We know that many accidents involving cyclists and motor vehicles result in catastrophic injuries or even fatalities. Suffice it to say, the consequences can be far-reaching and financially devastating when the victim is a major contributor to the total household income. If you or a loved one has been seriously injured while cycling, call our Miami injury attorney ASAP for legal advice regarding your case. Motor vehicle accidents – a number of difficulties can arise for injury victims of motor vehicle accidents. 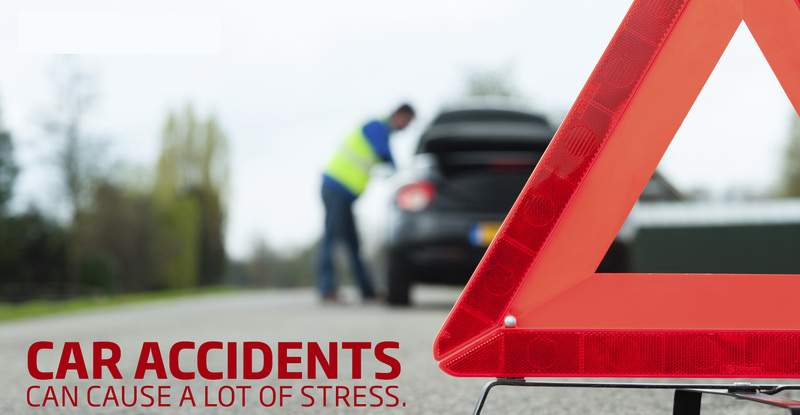 We are all too familiar with the injuries and property damages that can occur in these mishaps. Many victims are faced with considerable struggle when they attempt to recover compensation from the insurance companies on their own. Insurance claims are oftentimes complicated by certain rules and regulations and that is why it is extremely important that you have an experienced Miami injury attorney on your side representing you. Motorcycle accidents – like cyclists, motorcyclists are extremely vulnerable to crashes when they are out enjoying the open road. 305-HELP-NOW has dedicated a portion of their practice to assisting motorcycle riders who’ve been seriously injured in a collision and need to file a personal injury claim for damages. This is especially true when the accident resulted from another individual’s negligence. Regardless of the situation, our Miami personal injury lawyers can make a huge difference in the outcome of your case. Truck accidents – most people don’t know that big rigs and tractor trailers are involved in roughly 1 out of every 8 fatalities. Furthermore, 77% of the injury victims and 86% of all fatalities are those individuals who were either driving the smaller vehicle involved in the crash or passengers. Over the past 25 years, there has been a 25% increase in these types of accidents. If you or a loved one was injured in an accident involving an 18-wheeler or tractor trailer, our personal injury attorneys in Miami know that you have rights and you may be entitled to compensation. Slip or trip and fall accidents – we have recently seen some adverse effects on a slip or trip and fall accident victim’s rights due to specific changes in government legislation regarding personal injury law. If you’ve recently been injured in this type of accident, 305-HELP-NOW is here to help you get the compensation you’re entitled to and ensure that your rights are protected. We have had a great deal of success proving liability in these types of cases and will aggressively represent your personal injury case in order to achieve a settlement in your favor. There are numerous benefits and services that the Miami personal injury lawyer at 305-HELP-NOW can provide our clients. For instance, we can assist with the total loss or damage repairs with your vehicle, negotiate for the diminished value of it, and reimburse you for the cost of a rental vehicle if yours is getting repaired. We will also be happy to conduct an accident scene investigation including obtaining copies of the original police report and taking photos of the accident scene. Naturally, we will be able to pursue reimbursement of your lost wages both past and future, your medical and hospital expenses, and pursue compensation for your physical injuries as well as your pain and suffering. We will provide legal advice throughout the process including your options and settlement recommendations. Most importantly, our personal injury attorneys in Miami will negotiate the most satisfactory settlement possible. Call 305-HELP-NOW for a FREE consultation!